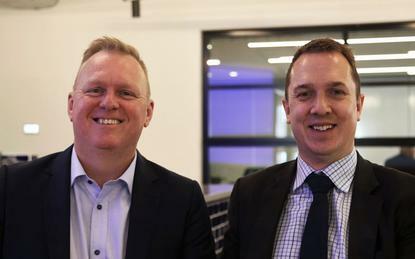 Thomas Duryea Logicalis (TDL) has acquired Melbourne-based CNI in a move designed to increase its capacity to provide customers with hybrid IT services and solutions through Microsoft Azure in the public cloud. Terms of the agreement will see CNI - a Microsoft certified gold partner - provide TDL with deepened Azure experience, in addition to unique intellectual property and the coveted status of Microsoft tier-1 Cloud Solution Provider (CSP) certification. As a result, TDL expects to compete more effectively in the rapid build and deployment of Azure-based hybrid cloud applications. "This acquisition repositions TDL as a tier one Microsoft CSP and a leading provider of Azure solutions in Australia," said Michael Chanter, CEO at TDL. "Moreover, it expands our Microsoft and cloud portfolios capabilities in transformation services to allow our customers to focus on innovation and better end-user experiences." Specifically, the acquisition will see CNI's entire team transition across to TDL with CNI CEO, Toby Alcock joining as chief technology officer across public cloud. In addition, CNI’s Steven Buhagiar will join the organisation as national practice lead of cloud services. According to Chanter, CNI has "established and proven capability" to securely design Azure cloud services for migration and ongoing management, governance and optimisation of these services. "CNI is thrilled to be a part of TDL and the broader Logicalis group," Alcock added. "Both TDL and CNI were established around the same time two decades ago and it has been great to see TDL grow its customer base over this time." The combined CNI and TDL customer base will have access to security, managed services, project management governance and a wider range of supporting services. "CNI’s expertise in Azure will now grow within the overall TDL engine, support the acceleration in our services growth and reinforce our relationship with Microsoft by giving us the capability to provide new capabilities to transition customers to new digital platforms," Chanter added. TDL operates as a $120 million IT solution provider in Australian, which was born from the 2015 merger of Melbourne-headquartered Thomas Duryea Consulting and Sydney-based Logicalis Australia. Currently, the business has 300 staff located in both Australia and Malaysia, with the majority located in Melbourne.